Thinking of going cold turkey on the turkey? 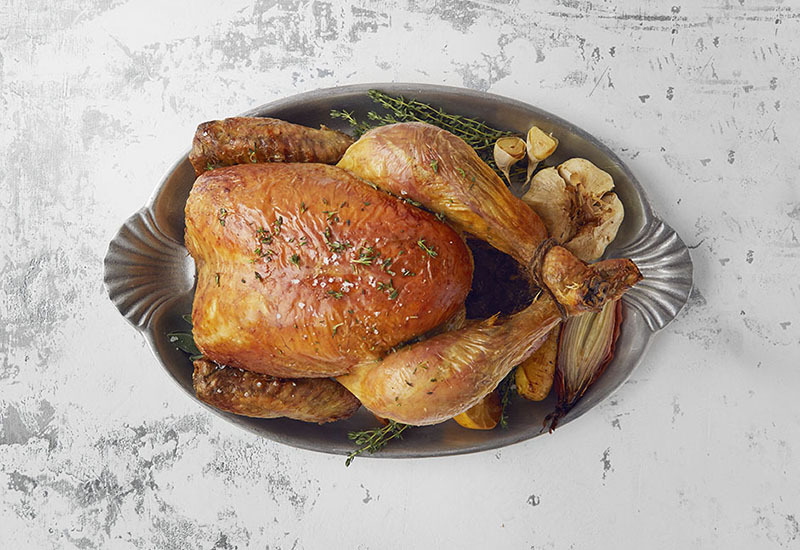 Oh we do love sharing the big bird out over the Christmas (or Thanksgiving) dinner table. Just not, you know, every single year. From the Dickensian to the ‘why not?’, here are seven turkey alternatives which feed family and friends without scrimping on ethics. Cockerel was a popular choice among Farmdrop shoppers last Christmas, probably as this bird has a bit more going for it than the average hen. The difference? 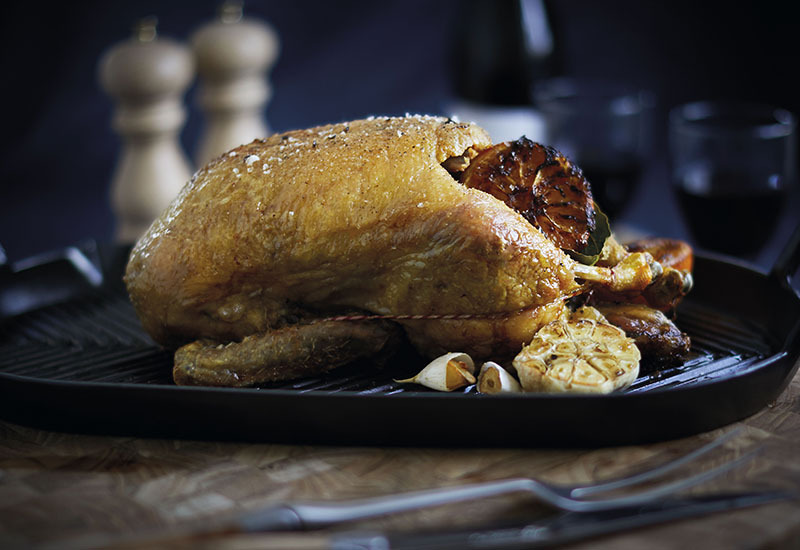 Typically a more mature bird, they carry more depth of flavour as a result. Fosse Meadows Farm rear their cockerels 40 days longer than their hens, for example. They tend to be bigger, too – some enough to feed more than six people. Oh and, unlike chicken, cockerels are often game hung, meaning much like dry-aged beef, the meat adopts a tenderer, more flavour-concentrated appeal. 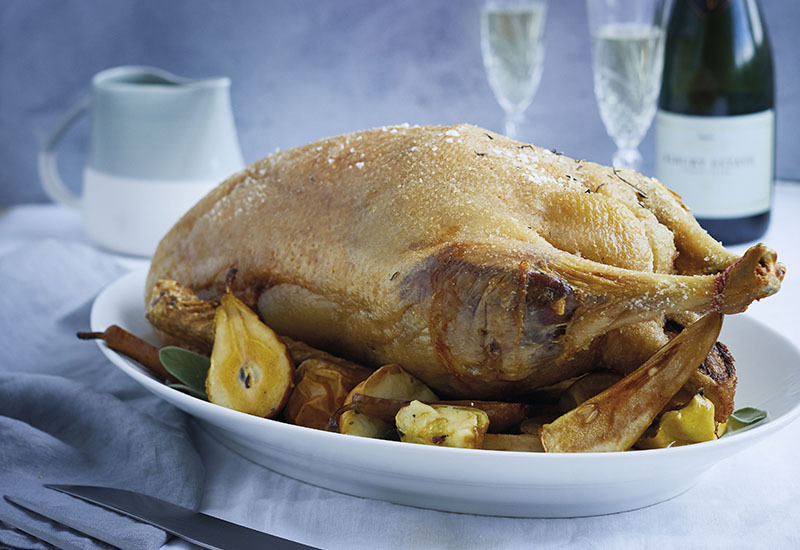 If you were born before the ‘60s, or indeed read Dickens’ A Christmas Carol, you’d know goose was once the much more traditional bird to cook on Christmas day (in Germany it’s still often eaten, with a stuffing such as apple and chestnut, alongside red cabbage). And had been that way since winter celebrations during the Middle Ages. Because it’s a much darker, richer bird than turkey, you can probably see why. As far as raising them goes, Goodman’s’ geese get a good life foraging naturally on fallen wheat grown on the farm, or on herbs and insects among the farm’s meadows and open fields. Going as it does so well with fruits and spices befitting winter – nutmeg, cinnamon, cranberries, apples, blood oranges, etcetera – duck is a criminally overlooked centrepiece to the proceedings. Especially considering wild duck is in open season until mid February. Then again, it does better suit smaller gatherings, one bird usually enough for two to three people. If prepared to spend a little more than you would on the average joint, any other Sunday roast this is not. Native breeds take longer to raise and therefore naturally hold more flavour than crossbred cattle. Then, dry aged for 30 days, produce an even more intensely flavoured piece of meat. 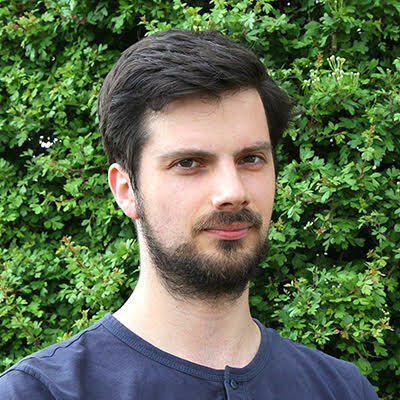 A beef joint almost any which way – rib of beef, centre cut fillet, and brisket – from an animal that has spent most of its life in open pasture, fed only on its mother’s milk and green grass, is a good way to go. 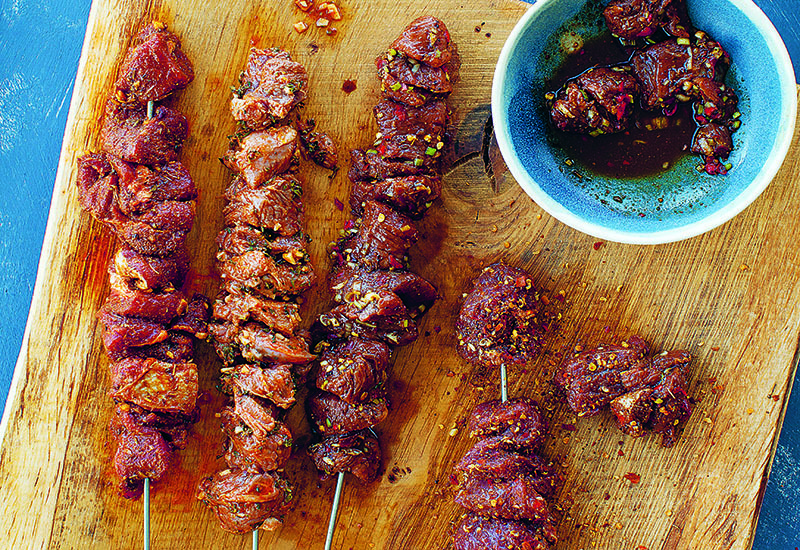 As hinds and does are shot from November through to March in England, venison is very seasonal at Christmas. And, seeing as venison is not subjected to human contact throughout its life, when not farmed it’s one of the more ethical meats out there. 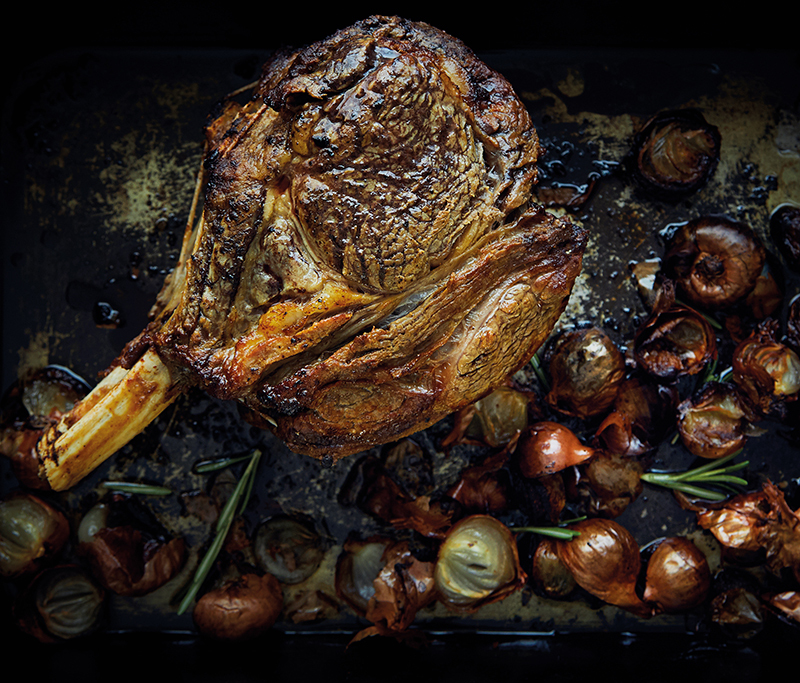 Hugh Fearnley-Whittingstall has a straightforward recipe for truly wild roast venison haunch. Just what 1pm on Christmas day asked for. 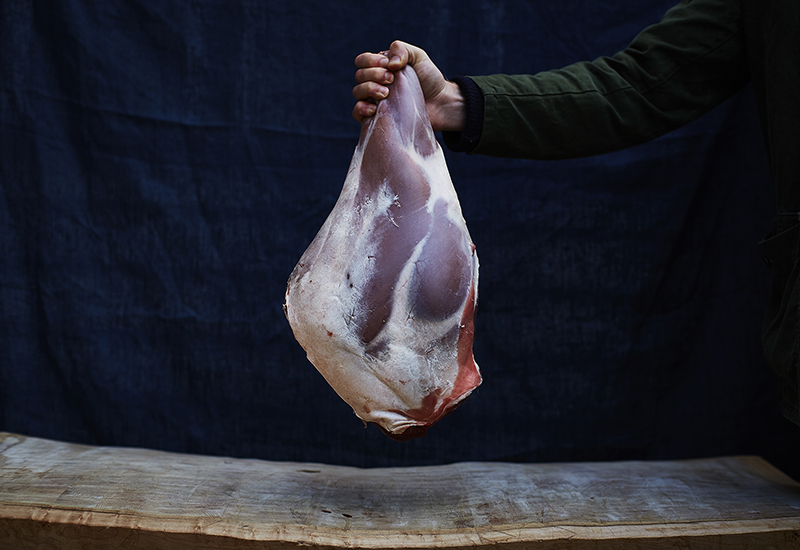 Goat has lots of potential to stir up talk around the Christmas dinner table, and not for just its lamb-like qualities – we like eating goat’s cheese (there might even be some on crackers after pud), but do we ever consider what happens to new billy goats, largely considered unwanted byproducts of the process? If things go well, they’re cared for to a good age, then slaughtered for their meat. If things don’t, they’re killed at birth and discarded. Just Kidding take billy goats off the dairy industry to raise them entirely free-range and on a pasture-fed diet. 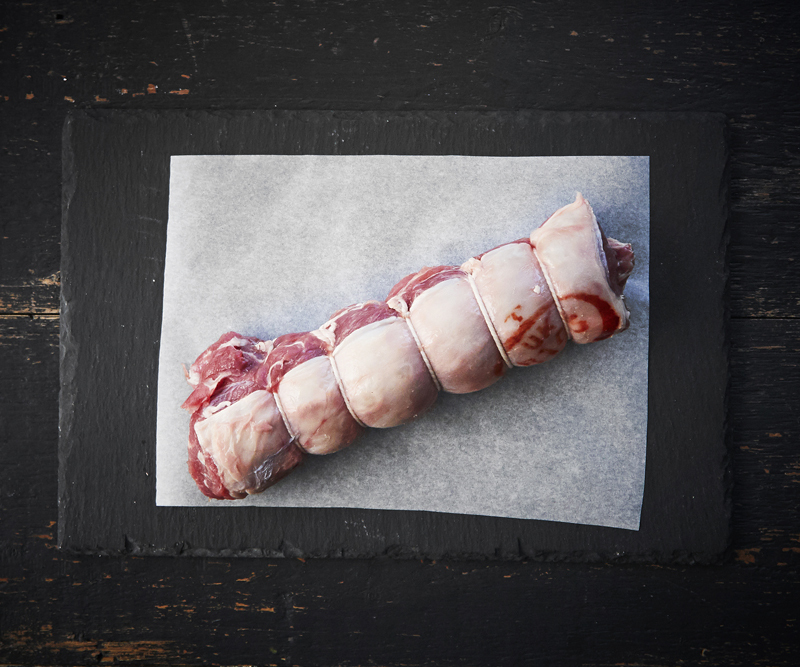 Look into subbing goat leg for your favourite lamb recipes. Roasted or as part of a casserole, pheasant has a profound ability to taste of the country, hopefully just without the lead shot. 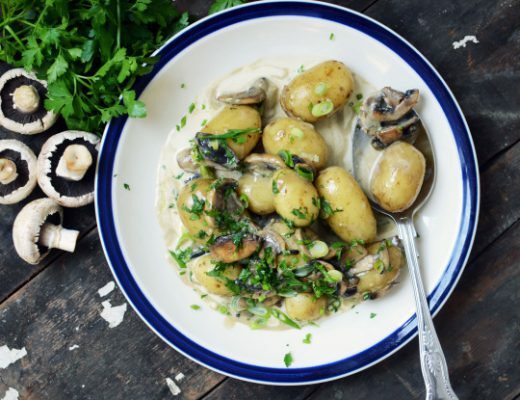 Lean and very gamey, serve with game chips (also known as ‘chips’, by the way), if you can face a Christmas without roast potatoes. 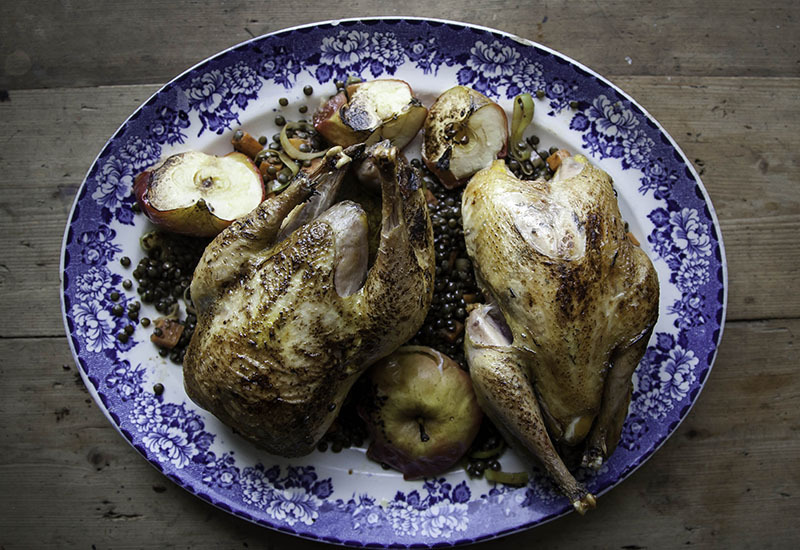 As a recognised expert when it comes to game, James Lowe ­– the chef behind Shoreditch’s critically-acclaimed Lyle’s ­– has a lovely recipe for roasted whole pheasant. Still not convinced? Learn how to cook a slow-grown turkey. Here are 10 time-saving strategies for Christmas Day cooking. 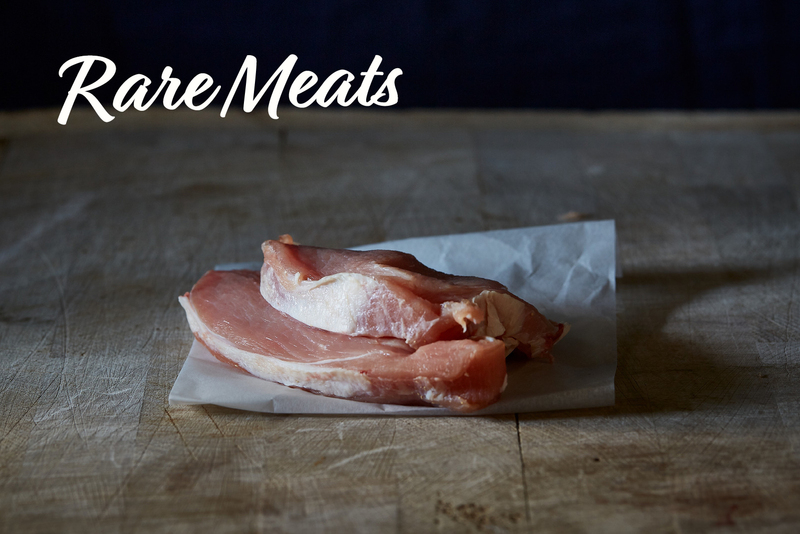 Ever wondered how sustainable game meat is really? Here are your questions, answered.